In a world dependent on technology to accelerate critical processes and daily tasks, it’s ironic to think that it is usually technology that also causes people to waste time. Mobile devices have gone far from its initial call and text functions to include features that let us search for information, find directions, book rides to our destination, stream music, and even remotely control our homes. Mobile sites and apps are fast overtaking those designed for their static desktop counterparts. As of April last year, mobile devices have become the primary access point to the Internet in the US. Users who access the Internet only on mobile devices have climbed to 11.3 percent, while desktop-only users declined to 10.6 percent. Meanwhile, the rest of the sample (78%) accessed the Internet on both desktop and mobile platforms. It’s still a long way to go before mobile devices completely phase out desktop use, simply because heavy functions like graphics editing, critical machine maintenance, programming, and other information-heavy tasks are still easier on desktops. Faster wired Internet connection is also the top choice of enterprises for business continuity. However, mobile devices have also become more and more capable of performing desktop functions. Acting like the trainees of a higher master, they provide strong alternatives for performing critical functions even while employees are away from their desk. This is why mobile versions of office apps like Microsoft Office 365, Dropbox, and Adobe Photoshop Express are popular app store downloads. Many apps in smart mobile devices are also gateways to desktop distractions that hog our attention and waste our time. For instance, mobile games are abundant on official and third-party apps. They range from casual games that you thought would only require a few clicks while waiting in line at the cafeteria, but they end up consuming your entire lunch hour—comparable with more complicated desktop games you used to play with friends. Sometimes, it even takes you way past your usual bedtime. Who hasn’t, for a considerable amount of time, found themselves hooked on mobile games like Candy Crush, Angry Birds, or Clash of Clans? Wasted time isn't just caused by gaming apps, though. On September 2015, ComScore noted that the total activity on smartphones and tablets in the US accounted for 62 percent of all digital media time spent. The study also revealed that almost a third of people aged 18-34 in the US spend more than an hour a day on social media apps, most especially Facebook. Smart mobile devices have grown so intertwined into our daily lives that it sometimes causes more harm than good. In an interview for Tech Times, Michigan State university professor Russell Johnson said that smartphones are almost perfectly designed to disrupt sleep. He added that because smartphones keep us mentally engaged late into the evening, they make it hard to detach from work, preventing us from relaxing and falling asleep. What’s amazing about the mobile landscape however, is that it can also provide antidotes for its own poisons. Mobile apps that help keep you focused and mindful of your time exist to alleviate these worries. Several apps can help you automate tasks, remind you of your schedule, take processes off your hands, limit your time on a time-hogging app, or engage you in areas that are more educational than recreational. Listed below are apps that can keep you on track on a daily, weekly, or yearly basis, which is exactly what you might need to start the year off! 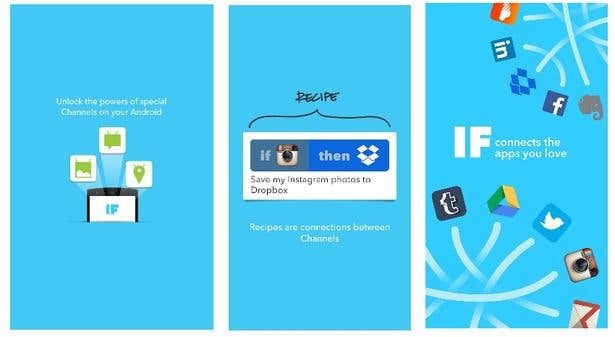 IF follows a simple conditional recipe: “If ____ then ____.” It describes these recipes as the “connections between Channels.” It can be used to automate tasks that need to be done but may be too tedious or require more clicks when done separately. For example: IF is popular for automatically letting you post Instagram photos as Twitter photos, which otherwise will only be posted as links. So far, it is able to connect 266 channels, which include blogging (Medium, Wordpress, Tumblr, etc. ), business (Office 365 calendar, Campfire, Box, Salesforce, Yammer, etc. ), eCommerce (eBay, Fiverr, Etsy, etc. ), connected car (Automatic, Dash, etc. ), connected home (HP Print, GE appliance, Nest Protect, Philips Hue, etc. ), and more. 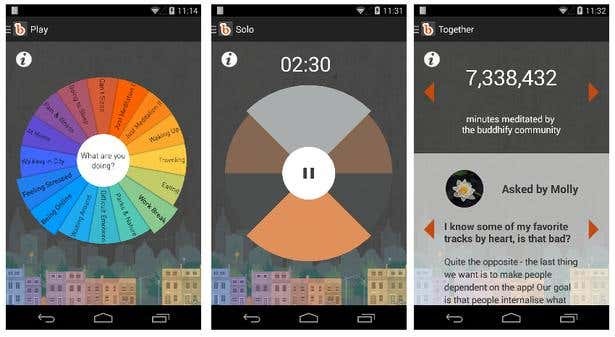 Similar apps: Llama and Tasker. 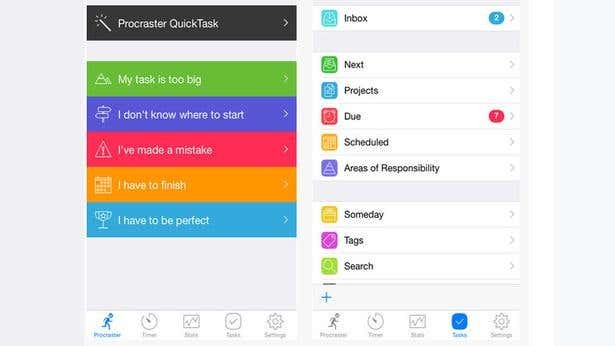 This app urges you to stop procrastinating and just start doing your tasks. It encourages you to input all your tasks and projects, assign areas of responsibility, note due dates, and schedule when you need to start doing your tasks. This way, you're sure to never forget anything that needs to be done, and you're constantly prodded to start working on a project way before it’s due to be submitted. 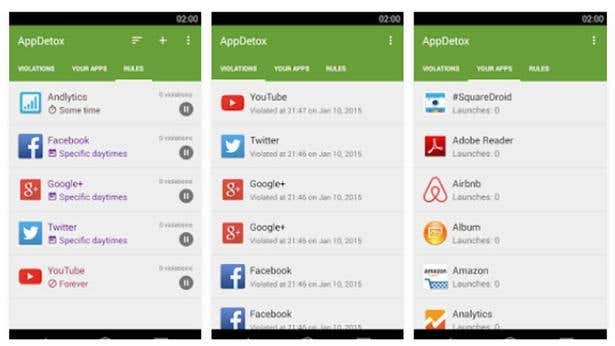 This app gently reminds you of heavy usage on certain apps and shows you which apps you tend to spend the most time on. This will help you become more mindful of your mobile habits and ease you towards spending less time on your phone and more on real life. 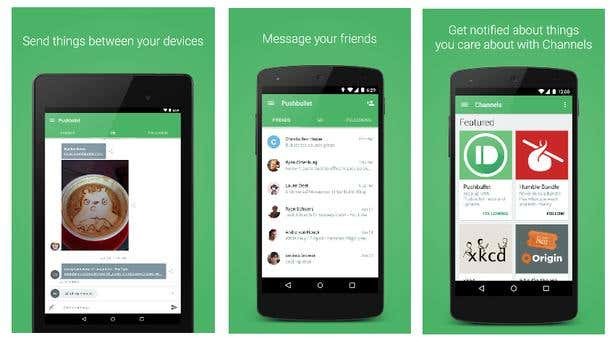 This app is very helpful in keeping you on top of messages sent across multiple devices. It is popular for pushing text messages to desktop and other mobile devices, and vice versa. This removes the burden of having to constantly check mobile phones for incoming messages as they will be pushed onto whichever device the user is looking at. News reader apps are great timesavers as they gather all articles published on various sites you want to track and synchronizes them into a clean space. 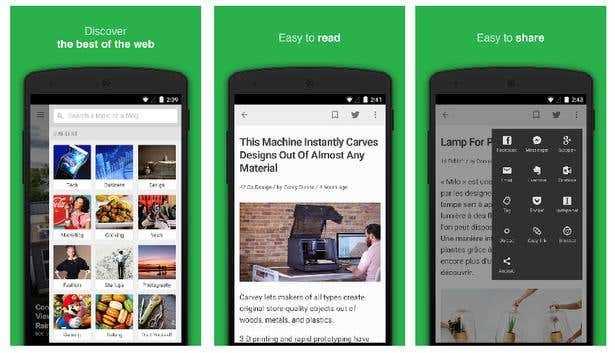 Feedly is one of the most popular readers available, thanks to its clean interface and varied content. It also boasts a feature where users can search for related sites under top categories like technology, fashion, global news, design, sports, and more. Buddhify calls itself “the mindfulness app for modern life.” It is an app that invites you to delve into the habit of meditation, wherever you may be, as a means of detox from the other digital distractions that serve to derail thought processes.